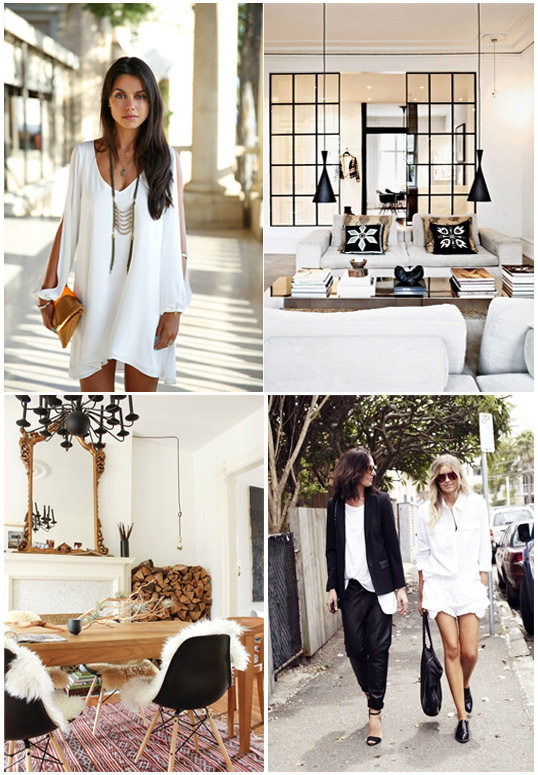 Whether it be my clothing or our home, lately all the inspiration pictures I've been drawn to are white + black. I'm a girl who loves color in her life, but I guess sometimes it's good to get back to basics. I've got my eye on clean modern lines and simple color...they've always been my first loves.